I’ve always liked when people reframe a company saying we’re in the business of “X” rather than what you might assume categorically. That said, often the phrase is meant to differentiate one company from its many competitors. 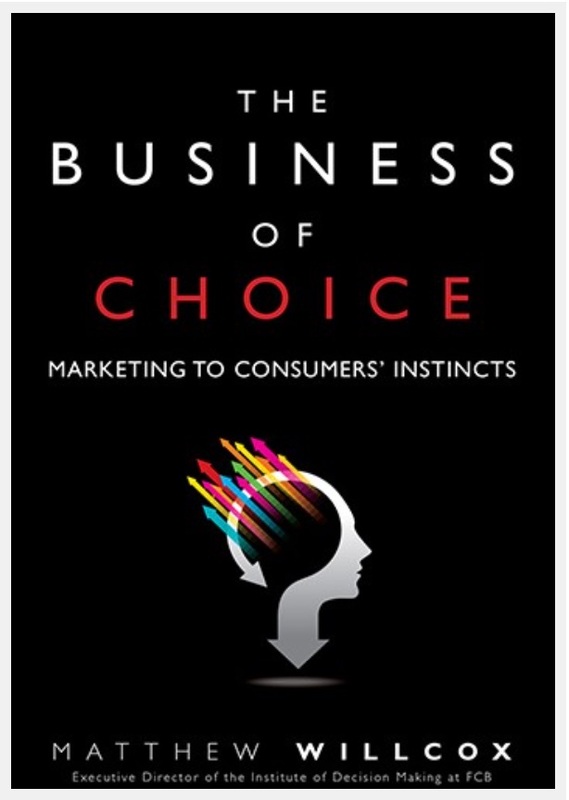 What makes The Business of Choice: Marketing to Consumers’ Instincts so compelling is its inclusive nature. The book is not a narrative charting one company’s unique purpose or process. It’s a book of open-ended inspiration. While studying at the University of Texas’ communication school, my Creative Campaigns professor always urged the class to find universal truths. Universal truths, universal truths. He was convinced these were the kernels of great work. In his words, these universal truths encompassed behavioral quirks that might seem counterintuitive but often describe peoples’ gut reaction to a given situation. 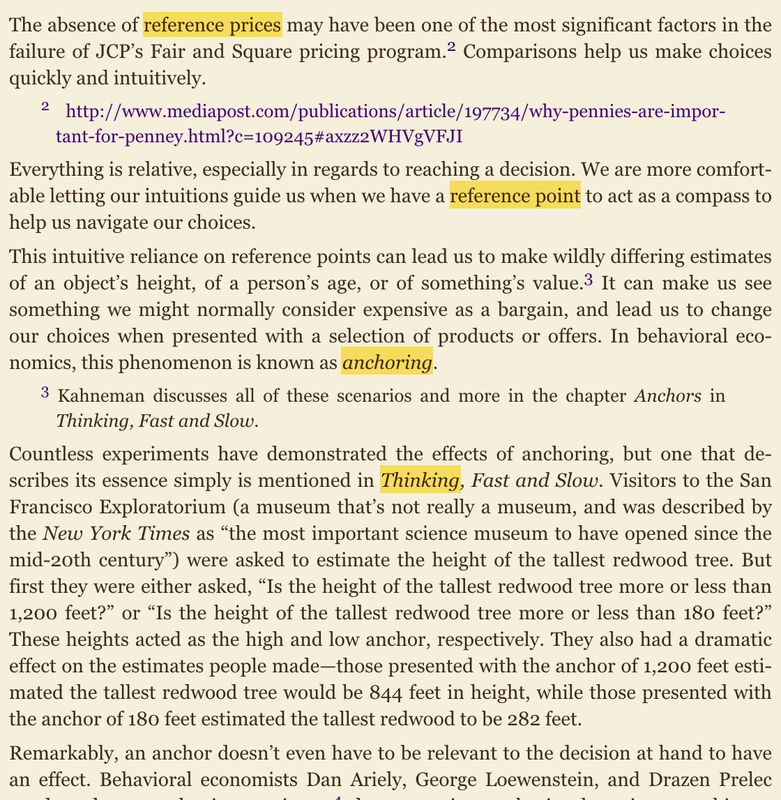 While he never gave himself the title, my professor could easily be dubbed a self-taught behavioral economist. The biases, heuristics, theories, etc, of behavioral economy can come across a bit like an answer booklet, or dairy of obviously true, yet unarticulated secrets. 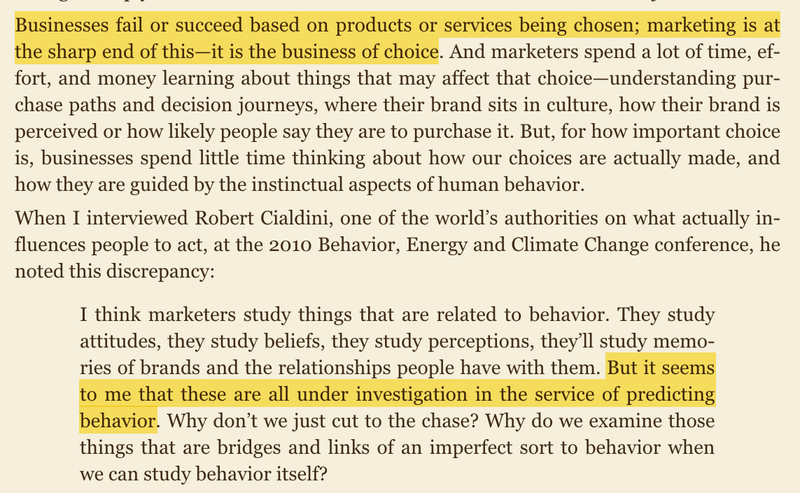 Thus, while reading The Business of Choice: Marketing to Consumers’ Instincts, I kept wondering, how can I recycle these nuggets about human nature and harness their potential? As I began to mull this question over, I became caught on the notion of truth. If certain “truths” about decision-making resonate across people of all kinds, they are broadly applicable realizations. I decided to restate this idea a couple of different ways until it fully soaked in. Human “truths” can be solutions that fit many questions. They are universal (to say it just one more time). They keep working again and again. 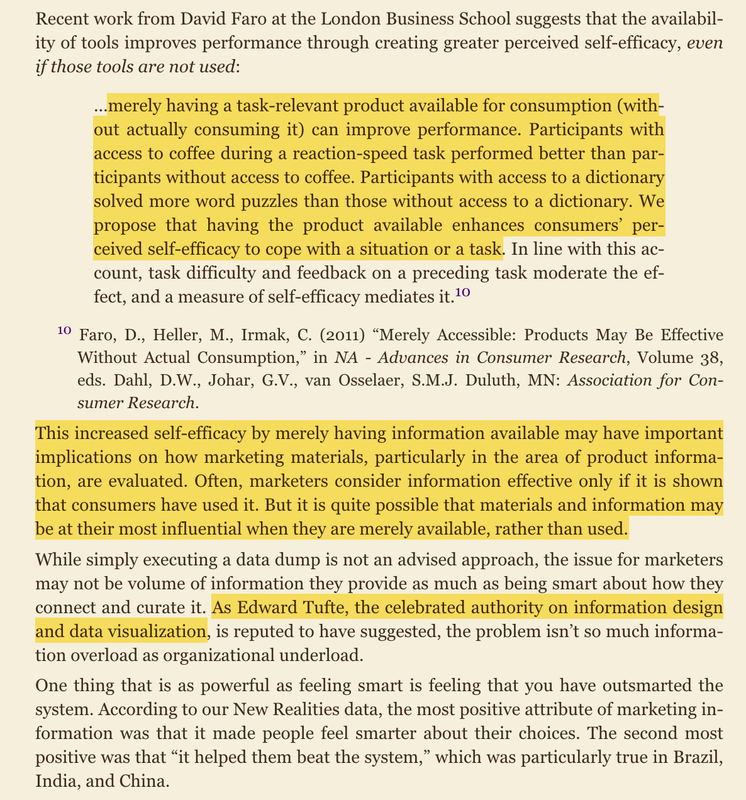 As underscored in the preface of The Business of Choice: Marketing to Consumers’ Instincts, advertising seems hung up on finding fresh insights and a customized solution, when in fact many of the best new insights are likely just repurposed realities about human nature. Maybe this is a difficult reality to admit, but it could be worth owning up to. By taking a new approach to advertising, focused on behavioral economics and decision-making, could I suddenly find myself in search of new questions than solutions or insights? 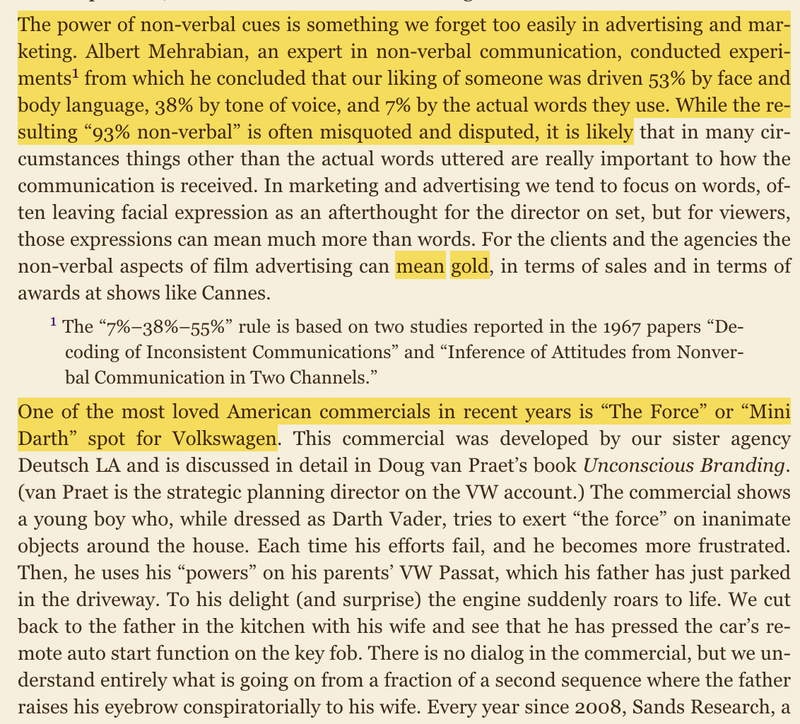 Thumbing back through the book, these were the excerpts that stood out. I’ve included a smorgasbord of my favorite ideas, helpful reminders, and passages that sparked questions. 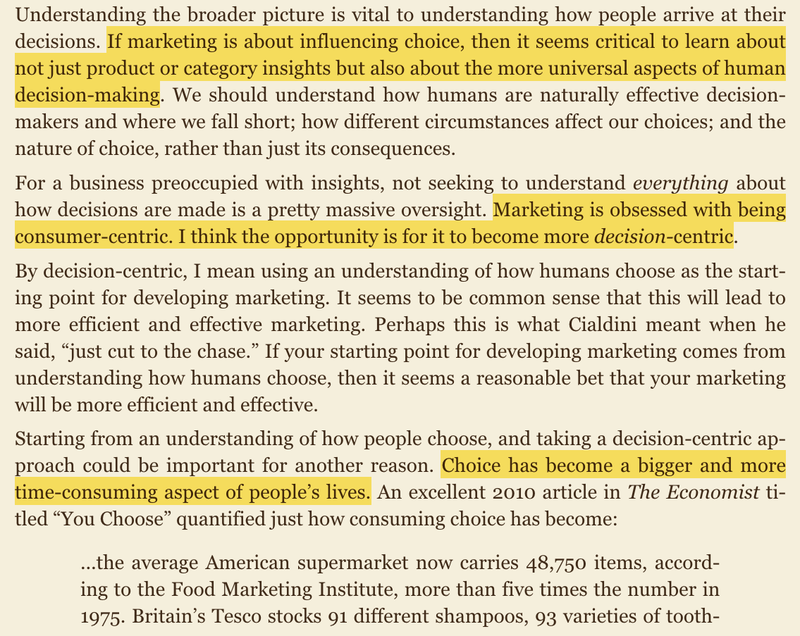 Interesting The need for making choices is increasing Hmm Why do we keep pining after insights from ever changing topics like culture or consumers? 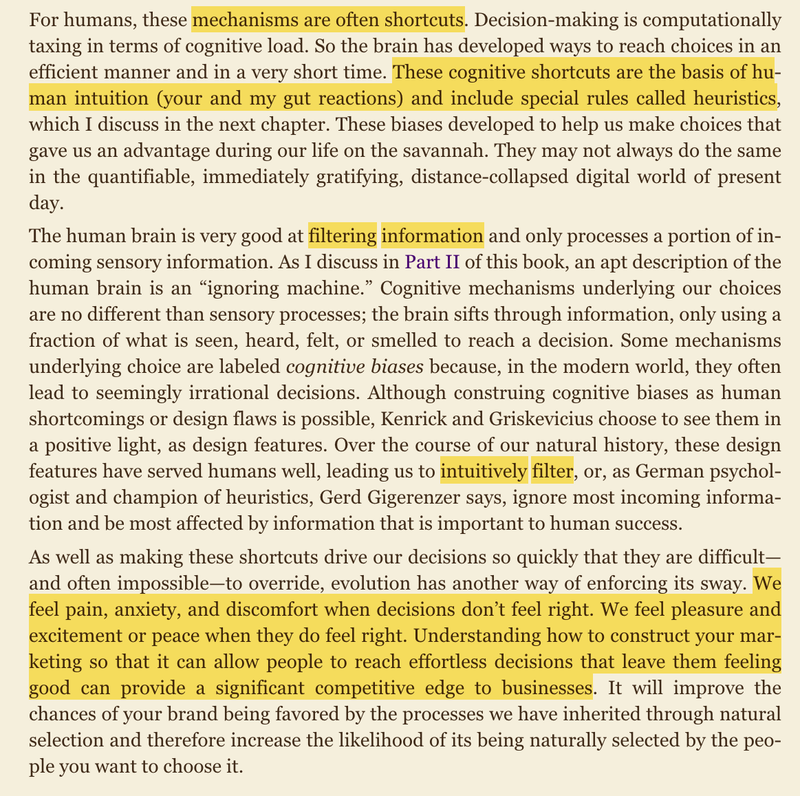 Hmm If emotional reactions are one kind of decision-making shortcut, are there other types of mental shortcuts? 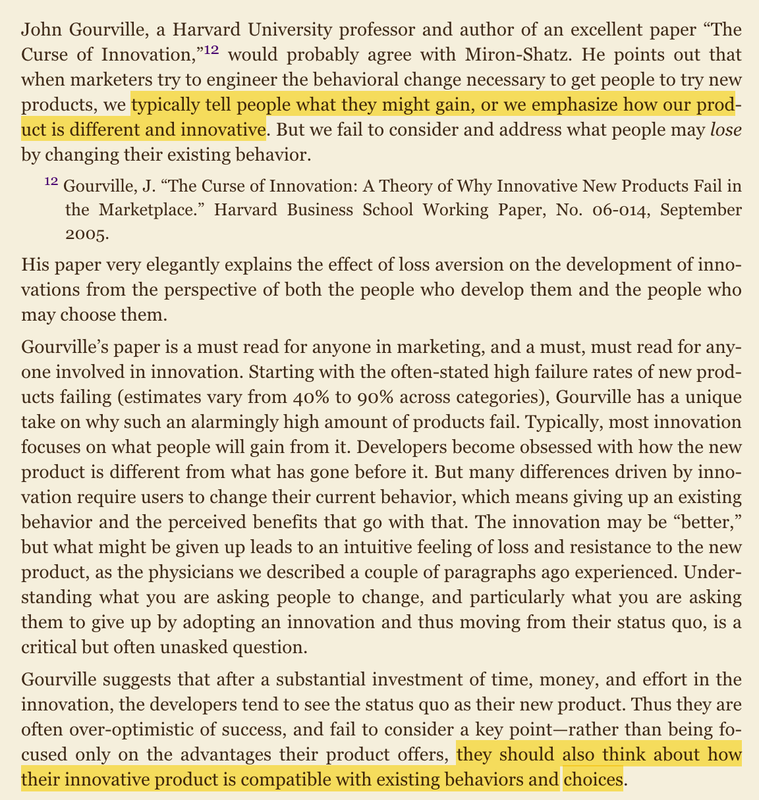 Hmm Do we think we love innovation more than we really do? Ahhh! That’s why I make cups of tea I have no intention of drinking! I thought my personality defined my thoughts so much more than it appears to. Hmm Can we prime anyone to make the same decision as the person next to him or her? The above introduction reflects my reaction to the book initially. Looking back for a second time, I’m left with a new realization. 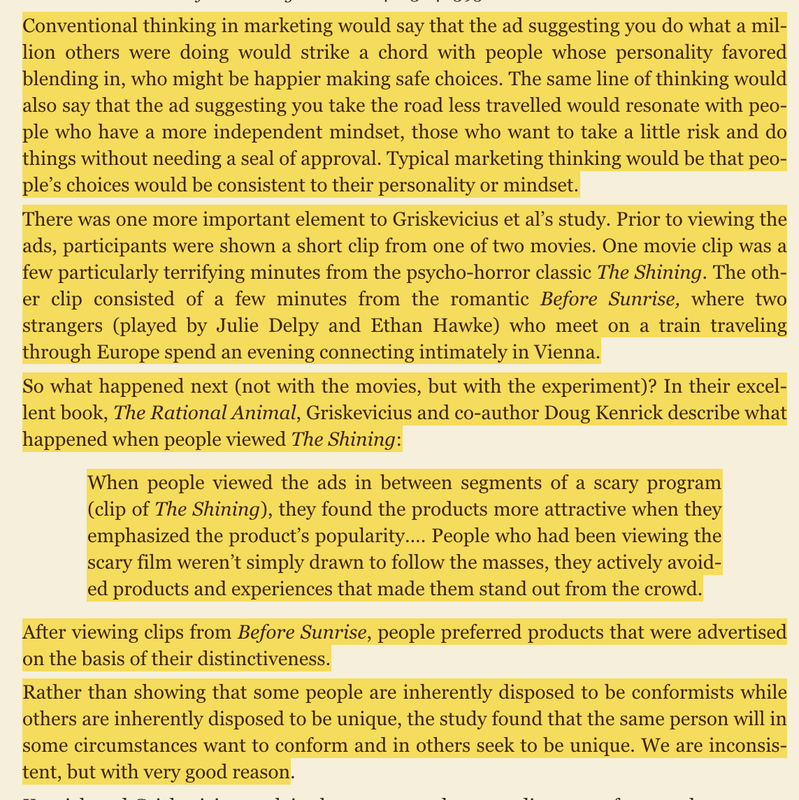 On some level many topics discussed in The Business of Choice: Marketing to Consumers’ Instincts are things you just hadn’t realized you already knew. After all it’s speaking to the very rituals our brains engages in on a regular basis. What I find so fascinating now is the book’s pattern recognition. I would like to think I make my own decisions in my own unique way. This book proves that there are major reoccurring trends in how we as a collective species come to conclusions. Maybe these monolithic trends will take me one step closer to my original question posed above.